12 movies and series starring Ewan McGregor. In this overview you will find all Netflix movies and series starring Ewan McGregor. Netflix's content is updated with many new movies and series every week. Therefore, you should check this list regularly to see if there are any new movies starring your favourite actor! Urbane and sophisticated Lord Charlie Mortdecai is an aristocrat, but he's also a broke, bumbling art swindler who has just crossed the Russian mob. 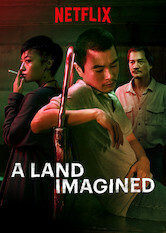 Tracking one family's harrowing experiences, this gripping drama depicts the chaos generated by the massive 2004 tsunami in Southeast Asia. After near extinction 50 years ago, humpback whales are thriving. Their recovery is captured in this documentary filmed in Alaska, Hawaii and Tonga. When her husband is nearly killed, iron-willed frontier woman Jane Hammond recruits her former lover to help battle an army of vengeful outlaws. After a five-year hiatus, troubled jazzman Miles Davis teams up with a brash reporter to retrieve a stolen recording and reignite his career. A young petty thief who received protection from a notorious inmate in jail is forced to spring his defender from prison and help pull off a heist. Catholic Church officials call upon a symbologist to help foil an attack on the Vatican by a secret society looking to retaliate for old persecutions.